or sponsor us! For press articles, commissions, collaborations, advertising and sponsor opportunities on the site. Advertisers, journalists and bloggers, please contact us for interview, quote and media requests. On 23rd January 2019, Danae Bodewes wrote an article about our podcast “Business of Collaboration” we did together with Els de Maeijer from Fontys and Emile Asselbergs from TNO business development on the importance of communication on open innovation. On 8th November 2018, KNOWCO is included in the THENEXTWOMEN newsletter to call the female founders and business owners to join the KNOWCO database to provide a better visibility of women start-ups to the innovation industry. On 4th November 2018, KNOWCO appeared in the most important online magazine in Italia for the start-up ecosystem, Startup Business, founded by Emil Abirascid. On, 6th October 2018 KNOWCO participated in the Semi-finals of TheNextWomen Pitch Competition in Amsterdam and we were selected by the jury to go to the finals! We were among the three Dutch start-ups founded by women who made to the finals! We are very proud to be there with KNOWCO. 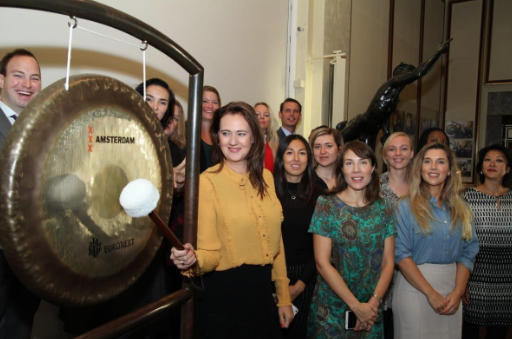 On, 24st September 2018 KNOWCO was honored to represent the Dutch Female Founders scene by kicking off the Amsterdam Capital Week together with her director Anouk Bikkel at the Dutch Stock Exchange in Amsterdam. KNOWCO WON THE AUDIENCE PRIZE! THE NEXT WOMEN PITCH COMPETITION, WILDCARD COMPETITION, PUBLIC AUDIENCE VOTE! On, 6st September 2018 KNOWCO was selected from the audience and public voting to be in the Semi-finals of TheNextWomen Pitch Competition. KNOWCO received the 50% of the total votes. YES! We can movilize people to vote and believe in us! Thank you! 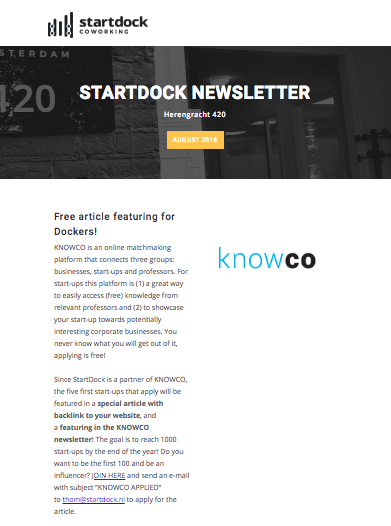 On, 1st August 2018 Startdock sent its newsletter to their Docker Community! We are looking for creative start-ups to join our database and reach 1000 start-ups at the end of the year, and Startdock co-working space is supporting our mission! On, 25th July 2018 ISPIM is featuring twice KNOWCO, first for our KNOWCO podcast “Business of Collaboration” we recorded with Prof. Henning Breuer and Roman Meier-Andrae in Stockholm during the ISPIM conference. ISPIM featured KNOWCO in its Member announcement. 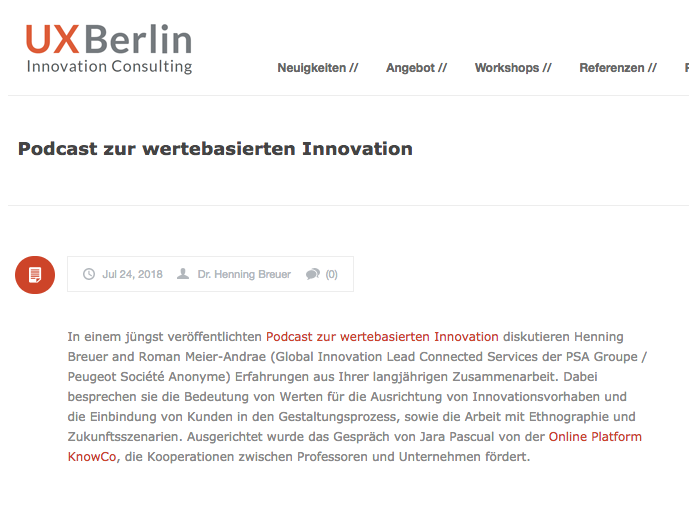 On, 24th July 2018 Prof. Dr. Henning Breuer published an article about his podcast “Business of Collaboration” in his main website UX Berlin. On, 19th July 2018 we were hosted a info table at the Venture Cafe Rotterdam, discussing how to digitalize the cooperation between business and academia. On 12th July 2018 we presented KNOWCO to members of the Epicenter Amsterdam, a selected co-working spaces and offices for digital disruptors and innovators. On, 21st June 2018 we were honored to get selected by The Next Women Pitch Competition and pitch together with the most inspiring women and businesses at the Nyenrode University in Amsterdam, The Netherlands. On, 17th June 2018 Jara Pascual and Ingrid van Gilst travelled to Stockholm (Sweden) to attend the ISPIM conference and present KNOWCO as a digitalization solution to facilitate business and academia cooperation. On, 8th June 2018 Jara Pascual was interviewed by Alejandra Nettel during the Circulo program at Salto FM in Amsterdam, The Netherlands. Jara was explaining why she created KNOWCO together with Ingrid and how is to become an entrepreneur. On 7th June 2018, Jara Pascual was presenting KNOWCO to the Female Ventures Association in Amsterdam, and talking about how I become an entrepreneur and how to speed up the process to work business and academics together. 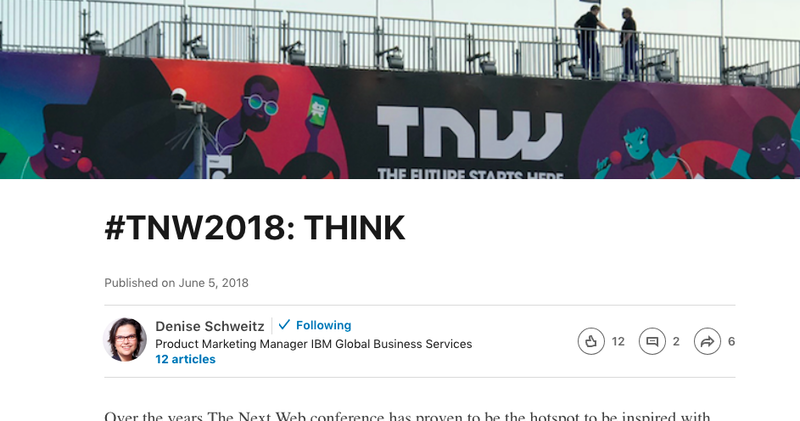 On 5th June 2018, Denise Schweitz wrote an article about her experience during the TNW Conference in Amsterdam. IBM was one sponsor and we met there to talk about blockchain and smart legal contracts. On 13th May 2018, Jara Pascual was presenting KNOWCO at the Pitch On the Beach event in Haarlem for start-ups and entrepreneurs.